Picture a sapphire. You probably envisioned a deep blue gemstone, right? The very name “sapphire” comes from the Greek word for “blue stone.” Even though historically that name probably referred to lapis lazuli and not to sapphire, the very fact that the name has been transferred tells you just how many sapphires are blue. Just what color is sapphire? Are these gemstones treated to alter their hues, or are they natural sapphires? Even though sapphire is typically a blue stone, it turns out that sapphires come in just about every color you can imagine! Sapphire is a variety of a mineral called “corundum,” which is an aluminum oxide with the chemical formula α-Al2O3. Many different trace elements may be present in corundum, slightly changing its chemical composition. Some of these trace elements include titanium, iron, copper, chromium, and magnesium. Depending on the element and the respective chemical change, a different hue can result. Blue (the most common color for sapphire): titanium and iron. When sapphires are pinkish orange, they are usually called padparadscha, and are considered quite precious. 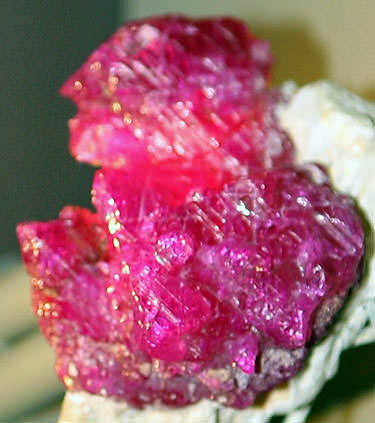 When they are red or a color close to red, they are usually called rubies. Many sapphires not only have one primary color, but one or more secondary colors. Secondary colors influence the shade of the primary color. So for example, a blue sapphire could have a secondary hue of green or purple. 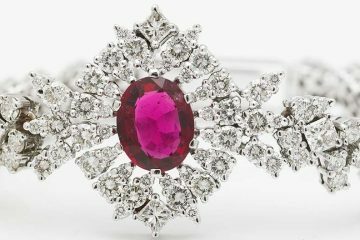 A ruby (red sapphire) could have blue as a secondary hue, making it more violet in color, and so on. Some sapphires are valued more than others for the perceived quality of their coloration. If you are shopping for a sapphire in any color, you are looking for the best hue, saturation, and tone. Hue: This is the color of the gemstone, in the simplest possible terms. Saturation: This is how vivid the hue actually is. Tone: This refers to how light or dark the hue is. So let’s say for example you are shopping for a blue sapphire. The most highly valued blue sapphire is one with a hue which is closest in color to a “true” cornflower blue. Secondary hues in a blue sapphire might be green or purple. 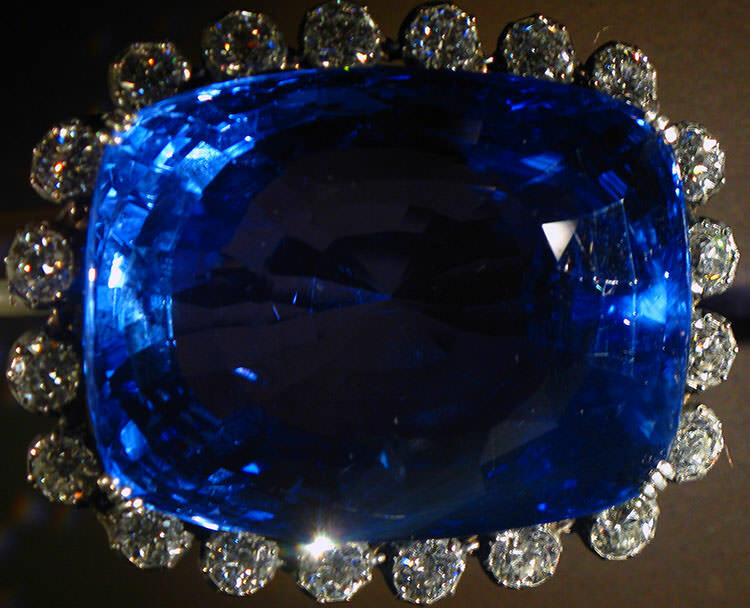 A secondary hue of green can reduce the value of a blue sapphire, while a secondary hue of violet may increase the value, depending on the amount. Past 15%, the violet is considered undesirable, and will also decrease the value. Gray, like green, is considered something to avoid, since it dulls the saturation of the hue. The brighter and more intense the blue hue is, the better. In terms of tone, medium blue is usually best. 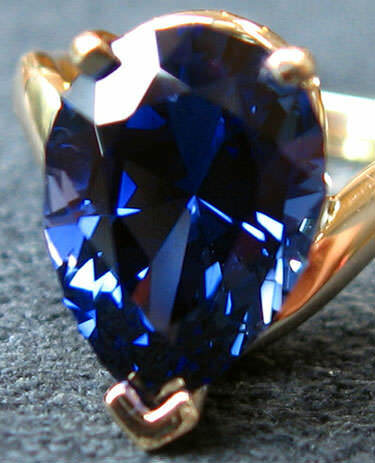 If the sapphire is too light in tone, the color looks washed-out, and if it is too dark, the blue is hard to see. Obviously you should choose a sapphire that appeals to you or to your recipient, even if that means choosing one that is considered a little “off” in color. Some people like a green hue. Others like their sapphire darker or lighter. But it is important to know if you are getting a good value. And that is why it is essential to know how to shop for blue sapphire. Other common colors for sapphire include yellow and green. Often, historically, the prefix “oriental” was added to the name of a similar looking gemstone when selling sapphires outside of the blue range. This was a confusing and misleading practice, and helped contribute to the misapprehension that sapphires only come in blue. For example, if you walked into a store and purchased an “oriental emerald,” you would be getting a green sapphire, not an emerald. This practice has been abandoned, but sometimes non-blue sapphires are still marketed as “fancy sapphires.” This is also somewhat confusing, since this is how colored diamonds are marketed. Sapphires also come in orange and brown and other hues. One of the rarest types is the padparadscha pinkish-orange variety. This type of sapphire is even more precious than the highest quality blue sapphires, because it is so rare. It can command a very high price. When a sapphire is pink, it is usually still called a “pink sapphire,” but if the color is deep enough, it may be called a ruby. There is a minimum saturation threshold in the United States for a sapphire to be classified as a ruby. Colorless sapphires are sometimes used as substitutes for diamond, which is something to be aware of if you are shopping for diamond jewelry. Sometimes you will see “rainbow sapphire” for sale. There is no specific type of sapphire that is known as a “rainbow” sapphire, though some sapphires do include more than one hue (more on that below). Rainbow sapphire usually refers to jewelry which includes a number of sapphire components in a gradient of different hues. This provides for a beautiful, eye-catching rainbow effect. The red components of course are rubies. There are two other interesting varieties of sapphire to be aware of. Sapphire is classified as a “pleochroic” gemstone. This means that the color you see may vary depending on the angle you are viewing the gemstone at. You might turn a sapphire gemstone one direction and see blue, and then turn it another direction and see violet. Sometimes there is a “color zoning” effect. This happens as the gemstone grows and impurities get into some layers but not others. Color-zoned sapphire may include areas of one hue and areas of another, or areas of lighter and darker colors. Whether this is desirable or not depends on the preferences of the wearer. Color-change sapphire is something else. A color-change gem will appear a different color under one type of light than it will under another. 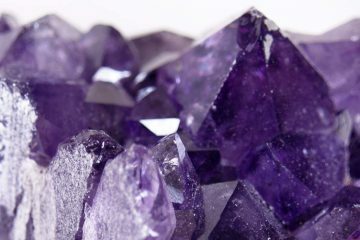 So for example, a particular gemstone may appear blue outdoors, and purple when you bring it inside. Another might have a green color outdoors and a violet color indoors. 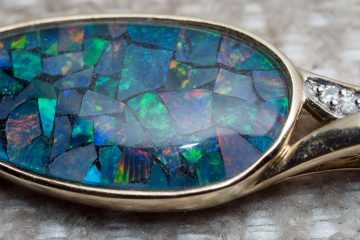 Sometimes the color-change effect is natural, the result of transition-metal impurities inside the stone. Other times, it is the result of synthetic production. Synthetic color-change sapphires are sometimes marketed as “synthetic alexandrite” or “alexandrium.” Alexandrite is a stone which produces a similar color-change effect. Color-change sapphire is not synthetic alexandrite at all, since it is still sapphire; so it should be classified as an alexandrite simulant. If you are interested in color-change gemstones you should also take a look at zultanite. The most valuable sapphires are those which have not been color-treated; a naturally bright, vivid stone will always fetch a higher price than one which has been treated to achieve the same color. Still, sapphire treatments are common, and include heat treatments and diffusion treatments. 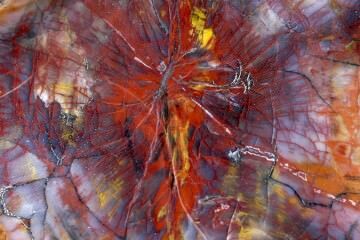 Diffusion is the deliberate addition of mineral inclusions. It can be a challenge to detect some of these treatments, so that’s something to be aware of as a buyer. Now you know all about the different colors of sapphires that are available on the market and how sapphires can be enhanced to augment or change their hues. Blue sapphires may be the most famous, but every color of sapphire can be beautiful, and each can have a dazzling effect. When you are shopping for a sapphire, always consider the hue, saturation, and tone of the gemstone. Make sure to ask to see certifications for expensive stones, especially when they are claimed to be natural and untreated.